I was excited to help out with my daughter’s school Christmas party this past December. Since food is kind of my thing, I offered to be in charge of the treat table. I thought it would be fun for the kids to decorate snowflake-shaped sugar cookies. 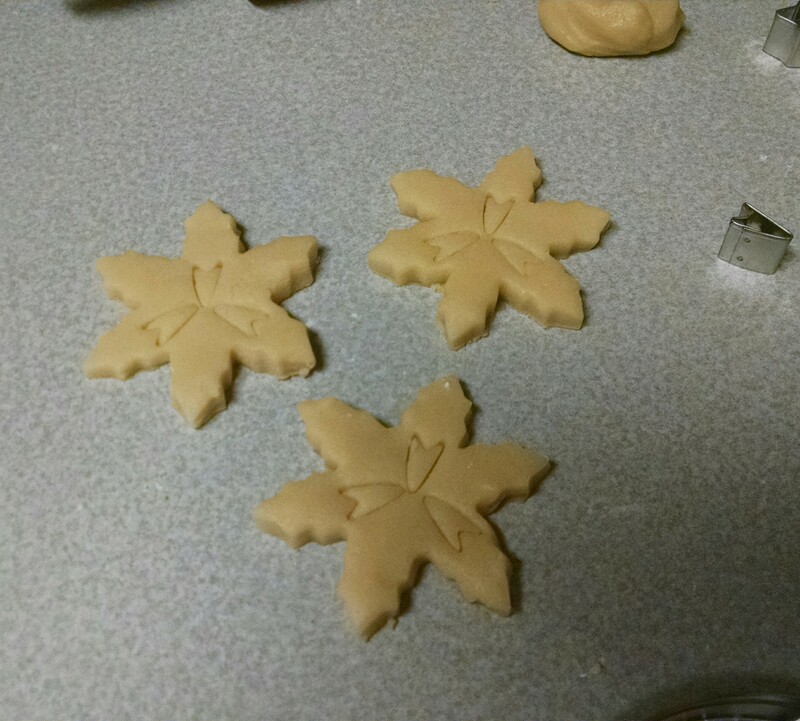 (I have a set of snowflake cookie cutters that I haven’t used much, and wanted to get some more use out of them). So the night before the party, I planned to stay up late cutting and baking sugar cookies. The night before the party arrived and all was going according to plan until I pulled the first batch of sugar cookies out of the oven. 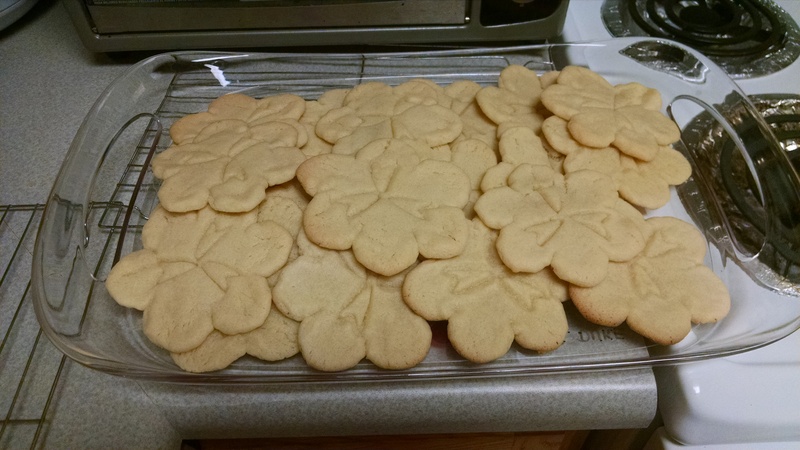 Suddenly, I remembered the problem I always have with cut-out sugar cookies. My beautifully cut snowflake cookies no longer looked like snowflakes. They had spread into massive blobs that looked more like flowers. I tried adjusting cooking times and temperatures, and I added a bit more flour to the dough, but nothing was working. Maybe I could tell the kids they were poinsettias?! Thankfully, they still tasted good and the kids didn’t seem to care what they looked like. Yet after this cookie fail, I determined that I had better do some research and start figuring out why my cut-out cookies always spread. Here are a few ideas you might want to try the next time you want your cookies to hold their shape. Chill the dough! Some people like to make their sugar cookie dough and chill it over night before using it. Others like to make the dough and cut-out the shapes first, and then place the pan of cut-out cookies in the freezer for about 10 minutes before baking. Don’t use baking powder. No matter the recipe, take out the baking powder completely. Since baking powder is a leavening agent that causes the batter to rise, there will be a lot let rising/spreading without it. Use Parchment Paper. Parchment paper can help prevent cookies from spreading and sliding around the pan. Don’t over mix the dough. Dough that is over mixed will be full of air bubbles. Air bubbles cause the dough to spread when baked. Be careful with your butter. Some butter has more water content than others. This is often true of less expensive brands. Use high-quality butter; it will result in high-quality cookies. Also, make sure your butter is not too soft when you mix your dough. Some bakers even prefer working with cold, hard butter for sugar cookies. Cornstarch…who knew?! One baking blogger I read swears by cornstarch! She says to substitute cornstarch for about 1/2-3/4 of the flour in any sugar cookie recipe. She says the dough is easier to work with and the edges come out perfectly. I don’t know about you, but I am excited to try out some of these new ideas the next time I make cut-out cookies! As always, I love to hear from my readers. What are some of your tricks for perfect sugar cookies? Do you have any fail-proof recipes? Feel free to e-mail me or share in the comments below! Happy baking!